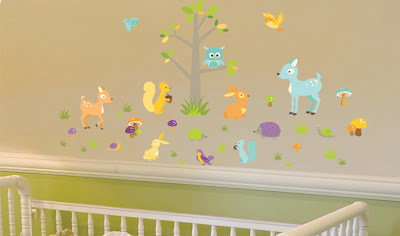 As low as $13 for $40 Worth of Wall Decals & Decor! Right now at Plum District, you can get $40 worth of decorative wall decals for as low as $13! You can use your voucher to shop at Lot26.com. They have over 100 different designs and themes to choose from perfect for nurseries, teens' rooms, living rooms...pretty much any room in the house! I'd definitely check out their sale section because there are plenty of decals under $10 and starting at just $4! The deal is on sale for $20, but use the code fabulous to save 10% to get it down to $18. Lot 26 Studio is like no other adhesive wall decor company out there. There extensive collection includes wall stickers, wall decals, canvas wall art, and adhesive acrylic mirrors for your living room, bedroom, nursery, and beyond. Lot 26 Studio creates all of their own peel-and-stick vinyl wall stickers from great graphics and adhesive sayings to the best paintings and images that contemporary artists have to offer.